Kenny "Good2Go" Gaudreau is a top ranked, regional mixed martial artist.. 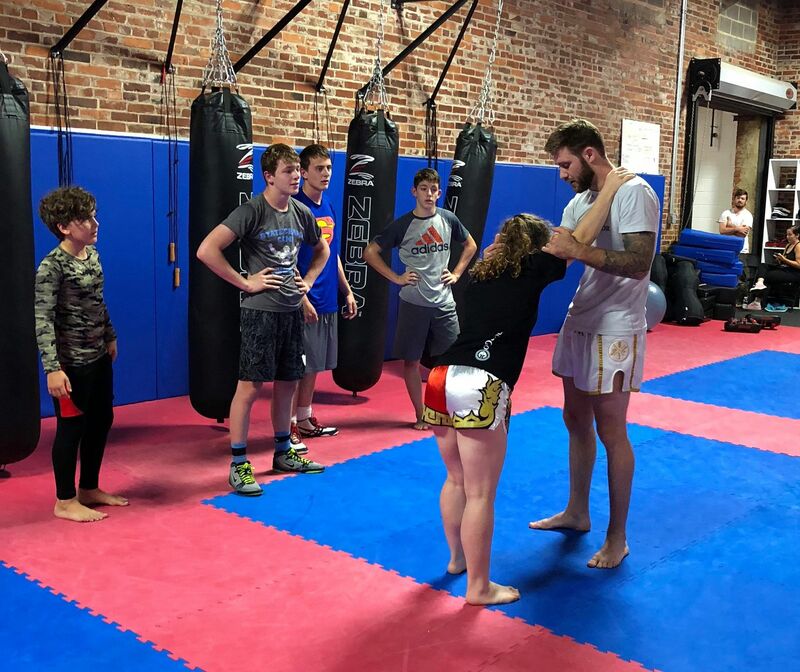 While climbing the ranks of the welterweight division, he spends his free time outside of training helping others find ways for living a healthier lifestyle through physical fitness. 1. Weight loss, improved strength and endurance is desired. 2. Specific martial arts training in Muay Thai, Brazilian Jiu Jitsu, Wrestling or Boxing. Kenny is one of the most patient people I've ever worked with. I've been over weight for most of my life and have yo-yo'ed with various plans of exercise and dieting for nearly a decade. Up to now I was not very active and had a hard time doing even basic tasks. With Kenny's help and motivation I am in the best shape I've ever been in, period. I officially weigh less than I was when I was in high school and can do workouts that I would never have been able to do otherwise. Just last week he got me through my first set of burpees, something I thought I'd never be able to pull off. Even with all of the credit I give him for helping me get to this point, he is always quick to remind me that I'm the one doing the work not him. This is exactly what I love most about working with him, he is consistently supportive and encouraging. I have a tendency of getting frustrated with myself when I struggle or if I make a mistake but Kenny is always quick to snap me out of it and help me get my mind right. We're nearing the end of our second program together and I can say with complete sincerity that I can't wait to continue working with him in the future.